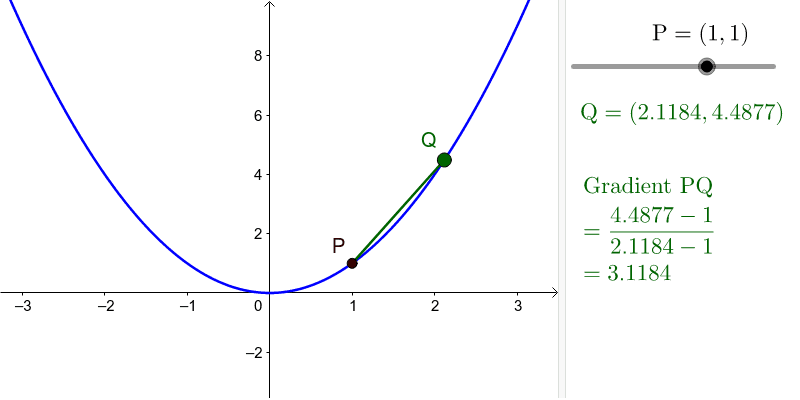 Move the point Q closer to the point P. How does the gradient of the chord PQ change? Make Q as close to P as you can. What value do you think the gradient of the chord approaches, as Q gets close to P? Use the slider to change the position of P and repeat.